In an earlier post we described this automated data backup and recovery service that is available for all active A&S faculty to protect their files against hardware failure or computer loss. 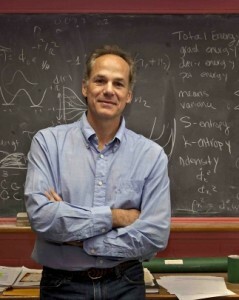 CrashPlan recently delivered on that promise for Marcelo Gleiser, Professor of Physics and Astronomy, Appleton Professorship of Natural Philosophy. Read his story in the Q&A below, and when you’re done, set up an appointment with your Academic Technology Consultant to have CrashPlan installed on your computer! ...continue reading "Crashplan Delivers for Professor Marcelo Gleiser"
Crashplan: coming to a computer near you! Published on October 30, 2015 October 30, 2015 Author Patricia CooganLeave a comment on Crashplan: coming to a computer near you! This automated, continuous, data recovery, and backup service for desktop and laptop devices is now available for all active A&S faculty. CrashPlan works where you are. Your files are automatically saved and securely stored in the cloud, so you never have to worry about losing your work. Dartmouth Information Technology Services offers this service free of charge to all active A&S faculty as part of the “Towards a Secure Dartmouth” initiative. “Why wouldn't you want to do this?" and "The setup is so easy!" are just two of the comments that Academic Technology Consultant Barbara Mellert has heard from faculty she has worked with to install CrashPlan. As an added benefit, Barbara notes that faculty like the email reports that have been generated to keep them on top of things. It happens. Devices break or get lost – or stolen – or you accidentally delete a file. CrashPlan secure data backup ensures that your files are always protected against computer loss or hardware failure. It creates a strong layer of protection for your intellectual and scholarly work. Using CrashPlan is completely voluntary, but strongly recommended! CrashPlan is secure. All of your data are encrypted. The service is approved by Dartmouth’s IT security team for the transfer and storage of all data classification levels. Want to get CrashPlan installed on your Dartmouth-owned computer? Your Academic Technology Consultant (ATC) will install CrashPlan on up to four of your Dartmouth-owned desktop/laptop devices. Email help@dartmouth.edu to request installation. Published on October 30, 2015 October 30, 2015 Author Patricia CooganCategories Security, Tech TipsTags Backup, Data Recovery, TechnologyLeave a comment on Crashplan: coming to a computer near you!